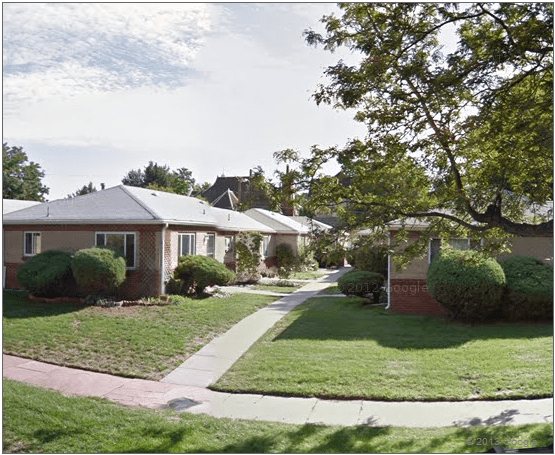 DENVER, August 1, 2013 – Madison Commercial Properties announces the sale of the Apartments at 500 South Pennsylvania Street in Denver’s West Washington Park neighborhood for $1,250,000. The building was built in 1952, and consists of 9 units: all one-bedroom apartments. The sales price equates to just under $139,000 per unit, and around $206 per square foot. Kyle Malnati and Greg Johnson, principals of Madison Commercial Properties, represented the buyer in the transaction. “The owner preferred an off-market sale, and we were able to match them with the perfect buyer for their building,” stated Mr. Johnson. The Apartments at 500 S. Penn are located in the heart of the West Washington Park neighborhood, an area that has the charm of a residential area without losing the vibrancy of urban living. The property benefits from 9 garages, a one-to-one ratio with the amount of units, which is unique in the neighborhood. “We were very excited to be involved with the sale of a garden apartment building, a rarity in this area” added Mr. Malnati.